Walgreens has always excelled at innovating, whether it was inventing the world’s first chocolate malt or revolutionizing pharmacies with drive-through service and satellite technology. Today, innovative ideas are no longer “icing on the cake” – they’re critical to the success of our business. Which is why, at Walgreens, we have developed a culture and strategic IT framework to ensure that we are winning with our people, operating efficiently, leading in innovation, delivering solid results and establishing a truly global presence. We have recently expanded our Chicago technology office, adding 20,000 square feet of innovative workspace and doubling our employees to 600. Dubbed the Walgreens technology center of excellence, this innovative space is now home to the majority of our pharmacy technology team, along with our digital, mobile and e-commerce technology teams. In June 2018, it was announced that Walgreens will be opening a new tech center at the old Chicago Post Office located at 433 W. Van Buren St. With approximately, 200,000 square footage, the new center will welcome about 1,800 team members from IT and other business units. This move also includes a Chicago-based Walgreens University location, with it’s satellite site staying in Deerfield, IL. For more details click here. Today is a very exciting time for Walgreens IT and digital teams as we create and roll out a truly unique initiative called Workplace for Tomorrow. By creating workspaces and policies that reflect the essence of who we are as a company and tech leader, we are revolutionizing the ways we work together through combining reimagined physical spaces, new technology and more flexible ways of working. – This first global IT town hall meeting for Walgreens Boots Alliance hosted live and virtual attendees from all over the globe, with participants joining from over 26 teams in five different time zones, two external venues and 14 different languages. Central themes included what it means to be part of a wider team and the importance of focusing on platforms over programs. – Diwali, or Deepavali, is a festival that spiritually represents the triumph of good over evil and light over darkness. Known as the Hindu festival of lights, Diwali is celebrated annually each autumn by our IT Engagement Team. 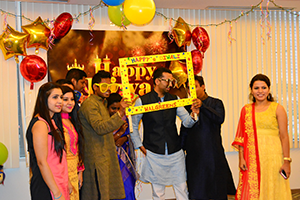 Featuring food, henna tattoos, music and activities, team members also don traditional Diwali attire in a variety of colors. 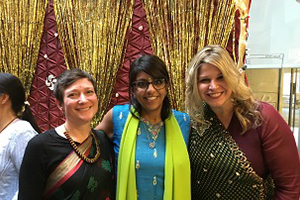 According to the team, celebrating Diwali has easily become one of the most popular IT events of the year, providing a great opportunity for cultural recognition, as well as opportunities to socialize and network. – Dragon boat racing has been around for more than 2,000 years. Originating in southern China, the competitions started as an ancient folk ritual for contending villagers to compete against one another in hand-paddled, decorative boats. 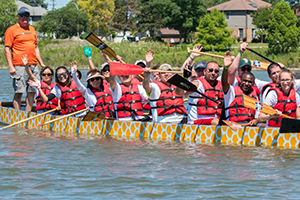 This legend still lives on today with the Walgreens Major League Dragon Boat Racing series, which welcomes both recreational and competitive teams. 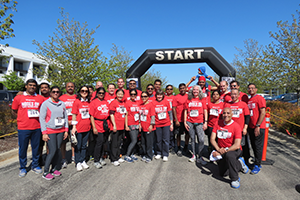 Several team members in IT joined the Walgreens Asian Network EBRG to participate in the 2017 Chicago International Dragon Boat Festival. Watch video. I have been in IT for 20+ years, and I can tell you this much: I am surrounded by some of the most technology-savvy and smartest people I’ve ever run into, and we’re all putting our talents and skills together to fulfill Walgreens’ mission and vision. Keeping our patients safe and helping them lead healthier lives inspires me to do my best work at Walgreens; patients should have access to convenient, high-quality, cost-effective care at any of the Walgreens sites. And in today’s day and age, when healthcare is talked about so much, this mission continues to hold true. 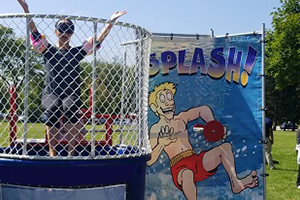 New hires can expect to be challenged, every day. You can also expect an extraordinarily diverse environment of collaborative professionals who are putting their talents together to fulfill the vision and mission. There are plenty of opportunities to make an impact and to grow and learn with the program. The future of IT is bright at Walgreens! Why should candidates consider Walgreens for IT opportunities? Walgreens is one of the most established and thriving retail chains in the world. With that, comes the opportunity for massive investment into our technology, and wide range of talent to draw from amongst colleagues across the globe. Walgreens is also faced with a host of rapid changes occurring in the healthcare and retail landscapes it operates within. To make the most of these changes, Walgreens is adapting to the fast moving technology world of today, and is committed to deploying cutting edge solutions to support our business and customers. This adds up to an exciting mix of benefits and challenges that offer abundant, interesting opportunities for professionals seeking to make an impact by developing new technology. How does your role/department show care for the customer? Every day within the [IT Department] you’ll find conversations and planning sessions centered around improving the experience and health outcomes of the millions of patients we serve every day. I’ve been fortunate to have worked on Walgreen Express Pickup - a new program launched by the [IT] team. It’s been really gratifying to see this go from a test at a few stores, to being used millions of times at the thousands of Walgreens locations across the country. It puts a smile on my face every time I see a customer at the Pharmacy get their medication quicker and with less hassle using Express Pickup!